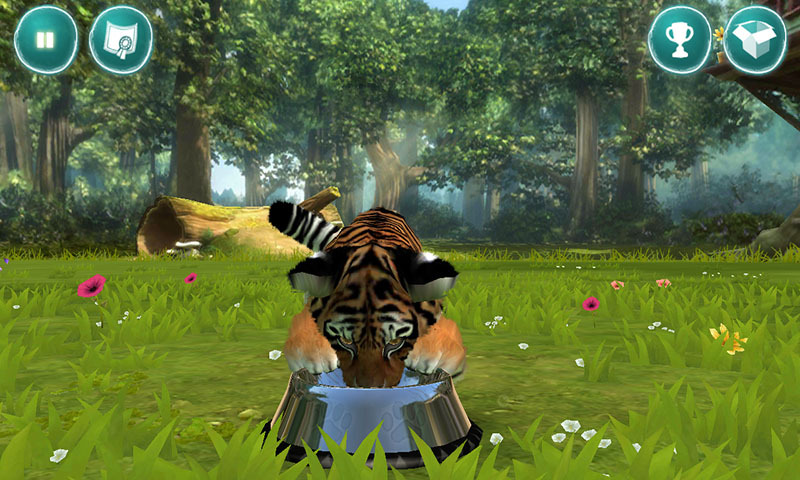 The Microsoft for Xbox 360 game Kinectimals is also available for Android. But is this “game” – featuring big cat babies that the user has to take care of – really a game, or is it just a glorified Tamagotchi? Find out in our review. Permissions strike us as perfectly kosher. My primary (elementary for North Americans) school days were riddled with Tamagotchis. Back then tons of kids (and, let’s be honest, adults too) were proud owners of some pixelly little creatures they desperately tried to keep alive between classes, or else mercilessly abandoned after the excitement of the first few days wore off. These days original Tamagotchis are considered collector’s items and are hard to come by. Microsoft came out with an Xbox 360 game with motion controls (Kinect) that was heavily based on the Tamagotchi principle. The Android version has touchscreen controls rather than the whole gestures/voice controls thing. First, I pick a cat from the five that are currently unlocked (ten in total). My heart skipped a beat when I saw the adorable selection of “kittens” available (lions, tigers, panthers and co.) And don't get all macho on me: I have yet to meet a man who doesn't melt at the sight of my to-die-for tiger baby. The target audience is clearly kids, but I'm an adult and I'm loving my baby pet. Basically, you have to do everything you'd need to do for a real animal (not that anyone should keep big cats as pets! ): feed them, train them, play with them, pet them... Props such as jumping ropes and ablls are available to teach the little ones some tricks. You'll receive rewards when you're doing a good job taking care of your furry friend. These rewards can be advancing to the next level or game money which can be spent on food, games or accessories for the kitten. 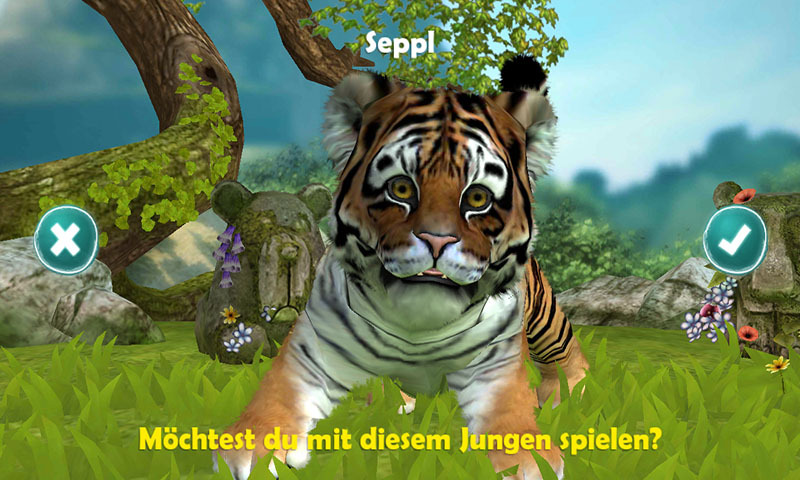 A photo mode with 3D photo option is available. 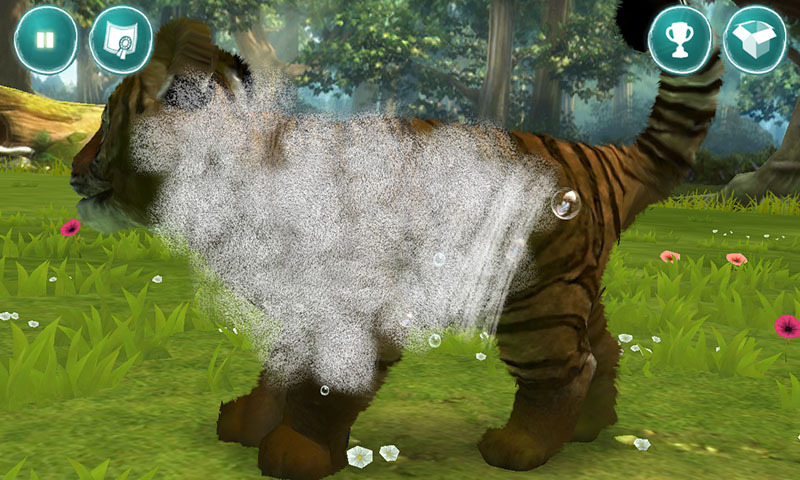 Kinectimals are absolutely lovable big cat babies. They are super cute and taking care of them is fun—but on the whole the user experience is somewhat repetitive. Kinectimals comes with controls that are well thought out and thus easy to use. The baby animals are superbly animated. The landscapes are nicely designed too (save for the beach, the resolution of which doesn’t look fine enough). The app ran smoothly on both devices (better on the Note 2 than on the Galaxy Tab 10.1), but it wasn’t possible to take pictures in the photo mode on the Note 2. Kinectimals didn’t crash on either device. 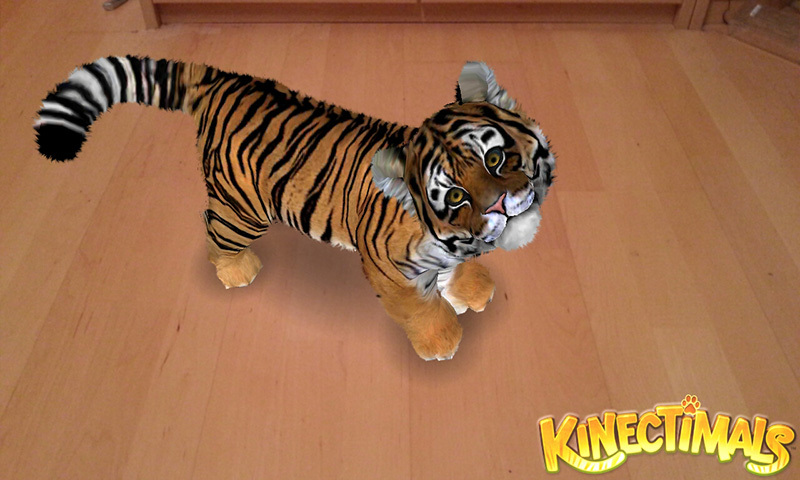 Kinectimals is free of ads and costs €2.25. You can download it from Google Play. The app is worth the splurge if you love animal babies and don’t mind slightly repetitive gameplays. Great! Nice to hear you're enjoying it, jalyssa.